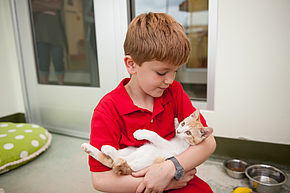 How do I become a PAWS Chicago volunteer? Fill out the New Volunteer Survey. We hold many orientations each month. If you do not see a date that is convenient for you, please check back. Our Junior Volunteers have an opportunity to volunteer through our Family Service Program. In this program, volunteers under 18 years of age are able to volunteer with a parent or legal guardian. To become a Junior Volunteer, please fill out the Family Service Application. Or learn more about Junior Volunteer Opportunities. What if I need to change my orientation date? 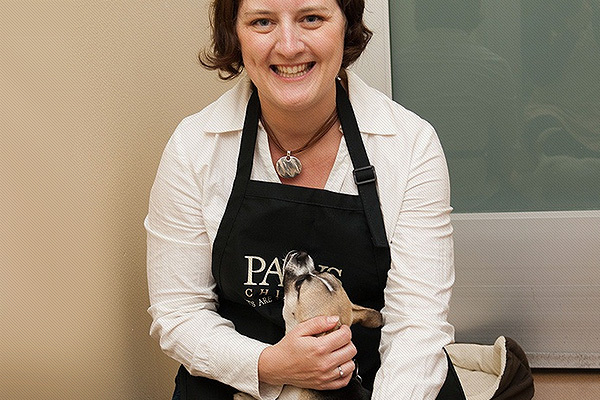 If you need to reschedule your session, please email volunteers@pawschicago.org. Include the date of your original orientation, the date of the orientation you would prefer to attend, and your first and last name. The Volunteer Team will confirm when your orientation has been rescheduled. How do I become a Lvl 1 Volunteer in Dog Town or Kitty City? The first step is to attend a Dog Town Level 1 or Kitty City Level 1 training. These trainings occur directly following orientation. If you didn’t attend training right after orientation, simply show up at another training. Once you are a volunteer, there is no need to sign up. If you have attended training, please login to our volunteer system and sign up for a Mentor Session. I can’t give my time right now, how do I make a donation? Donations to PAWS Chicago help save the life of homeless cats and dogs. You can make a donation here. You may also mail a donation to PAWS Chicago, 1997 N. Clybourn Ave., Chicago, IL 60614, or stop by one of our Adoption Centers to drop one off. If you would prefer to give an in-kind donation, you can do so by visiting any of our locations during business hours. If you are looking for ideas of items to donate, please review our wish list. Our animals are always in need of food, cat litter, new or gently used dog toys and any of the other items on the list. Donations may be dropped off at the Adoption Center during open hours. Can my work/school/church volunteer as a group? Absolutely! For more information on group volunteering or to schedule a visit, please contact our volunteer coordinator at volunteer1@pawschicago.org or 773-687-4714. Please include the type of experience you’re interested in, the number of people in your group and your contact information. For groups of adults (18 years old or older), we will schedule a mini-orientation and then split your volunteering time between light service (cleaning, laundry, special projects) and socializing with animals. Youth groups (under 18 years of age) will receive an age appropriate humane education presentation and tour of the facility. Please note that group volunteers under the age of 18 will not have access to the animals. Would I be able to complete community service hours at PAWS? Yes, volunteers looking to complete completing community service hours for school, church or another organization are able to do so at PAWS Chicago. Volunteers are responsible for tracking their hours and must obtain appropriate staff signatures every time they volunteer in order to receive verification of the hours. Unfortunately, we are unable to accommodate court-ordered community service at this time. How do I receive credit for community service hours? 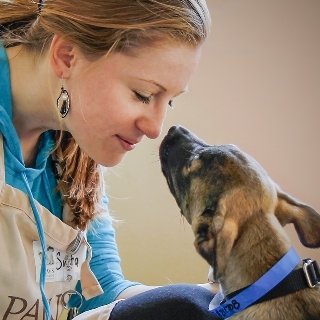 Simply note in the “Additional Comments” section of your application that you will be fulfilling community service hours, and contact the Volunteer Program Manager at volunteers@pawschicago.org immediately after you submit your volunteer application. It is your responsibility to track your hours and get them approved every time you volunteer.